A run-down, rustic aesthetic rules in this canal-side café-bar. Simple wooden tables sit alongside dilapidated sofas, on which a cool crowd sit tapping away on their MacBooks in the day and sipping cocktails in the evening. 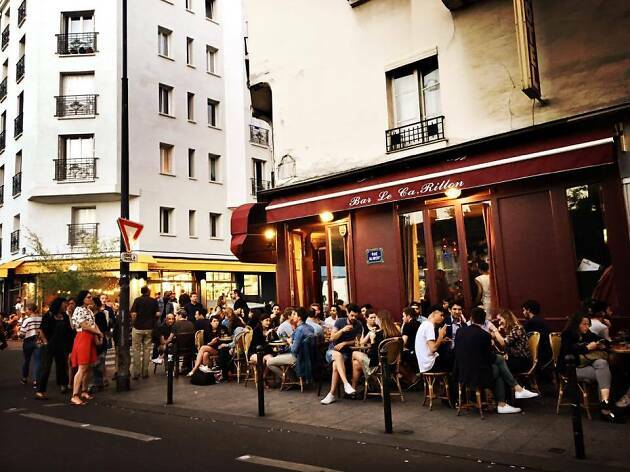 The relaxed vibe, carried by smooth jazz on the stereo – and sometimes live jazz in the evenings – all stays on the right side of insufferably hipster, preserving much of the character of a charming old watering hole. 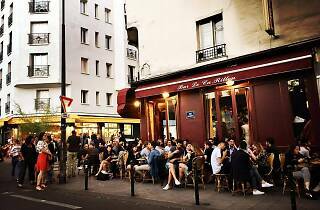 Note: it can get a bit rammed during the 6-8pm happy hour, when the local restaurant-going clientele stop by for a quick aperitif. At €3 for a pint of Amstel or €4 for a mojito, you can see why.